For the past few weeks we've been reiterating the reasons why we believed that the HTC Puccini/Jetstream was headed to Rogers and today it seems like we are finally getting some harder evidence of HTC's first 10.1 inch Honeycomb tablet heading to Rogers. 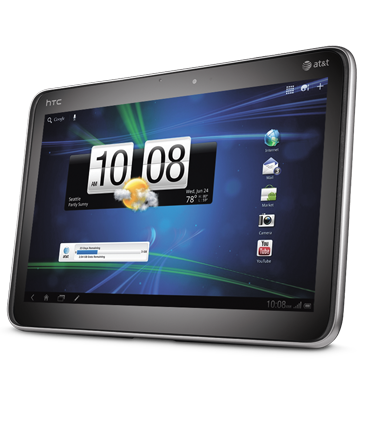 According to a document leaked to MobileSyrup the HTC Puccini will infact be their first LTE capable tablet. It only made sense for the Puccini to be headed to Rogers and we are pleased to see that this promising Honeycomb tablet will make its way north of the border.